The Marine Conservation Science Institute is a non-profit organisation conducting ongoing research on the Great White shark population at Guadalupe Island. SDX annually contributes towards Biologist Nicole Nasby Lucas’ Great white shark ID database and in 2015 we ran a special Expedition to the Island hosted by Dr Michael Domier. 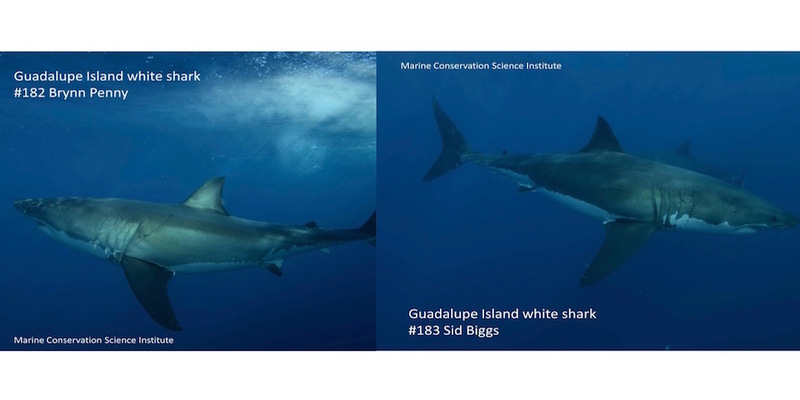 Since 2001 Nicole Nasty Lucas has been profiling the sharks at Guadalupe island through photo identification. To aide with the study, our team contributes photographs taken at the island each season to form a successful partnership. In 2012 we also ran logistics to aide the tagging and filming of Great White sharks for the Documentary “Spawn of Jaws” and in November of 2015 we teamed up once more to run a special expedition to the island. The ID database of Guadalupe Great White sharks was started in 2001 by Nicole Nasby Lucas of the Marine Conservation Science Institute. Her commitment to the project has now enabled us to recognise over 200 individual animals and keep records of their sightings here each year. By contributing photos of the sharks during our expeditions to the Island, SDX has created a successful partnership with this project. Our guests love getting involved in the project as well and continuously contribute their photos taken during our trips. Once all the data is collected by Nicole, if a guests photo ends up being used in the catalogue then they are contacted and given the opportunity to name the new individual shark! In 2015 the Marine Conservation Science Institute ran a special expedition to the island with our team. The trip was hosted by Michael Domier and Nicole Nasby Lucas and rounded of our season in early December. The trip was a great way to end the season off in style! We encountered many of our favourite sharks and managed to identify a handful of new individuals along the way. On day 2 of the 3 day trip one of our classic Guadalupe females turned up, the enormous 18ft “Scarboard”. Over the years we have come to know this girl very well as she typically returns every two years suggesting she gets pregnant at the island before migrating along the Californian coastline to give birth, before heading back to begin the cycle again. Seeing her was a fantastic way to finish the season! We also managed to identify new sharks and even got to name a few. “Sid Biggs” a new male was named after actor Jason Biggs’ son and a female “Byn Penny” was named after baseball pitcher Brad Pennys’ daughter. Both Jason and Brad where on the expedition and it was pleasure showing them our sharks and giving them the opportunity to name some of them! We look forward to many more collaborations with Michael, Nicole and the Marine Conservation Science Institute into the future.